What is a NRHP Section 106 consulting party? 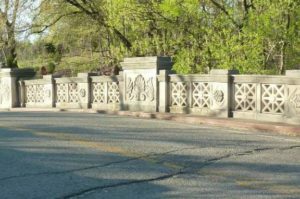 The National Historic Preservation Act of 1966 requires the Federal Highway Administration and state departments of transportation to take into account how a project may affect properties listed in, or eligible for listing in, the National Register of Historic Places. Section 106 of the Act outlines the process involved in identifying and assessing the project’s effects on historic properties. What role would a consulting party play in this project? Who is eligible to serve as a consulting party? Section 106 consulting parties may include historical societies, preservation societies, local governments, landowners and other residents who have a vested interested in the project or concerned about the project’s impact on historic properties. How can I sign up to be a consulting party? To apply to be a consulting party for a specific bridge, contact the Bridging Kentucky Program Team using this form. Please include your contact information, the bridge number of the project that interests you, and an explanation why you would like to be a consulting party per Section 106 for this bridge. What is an adverse effect as outlined in Section 106? If a project may alter characteristics that qualify a speciﬁc property for inclusion in the National Register in a manner that would diminish the integrity of the property, that project is considered to have an adverse effect. Integrity is the ability of a property to convey its significance, based on its location, design, setting, materials, workmanship, feeling and association. If a project results in an adverse effect, the Kentucky Transportation Cabinet will work with the State Historic Preservation Office (SHPO) and consulting parties, if applicable, to determine appropriate measures to avoid, minimize, or mitigate the impact.